I have another Prince Harry and Meghan Markle wedding update, and I can promise you this: It’s not only adorable, it’s also deeply heartwarming. In the week since Harry and Markle have officially announced their engagement, there’s been a booming mill of information about who Markle is and what her life is like outside her royal connections. But what we’re dying for is more wedding updates because, hello, it’s never too early to get as much information as possible about the most exciting celebrity wedding of 2018. 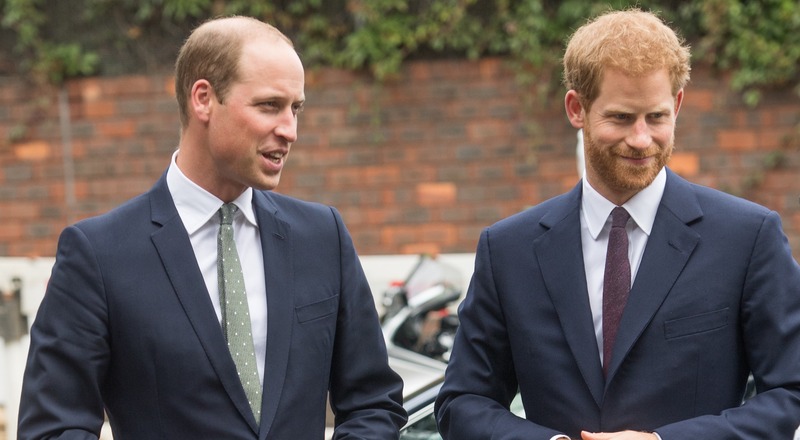 Now we can confirm that Harry has selected his big brother, Prince William, to be his best man. According to a source who spoke to Us Weekly, “Harry has several close guy friends, but there’s no way he would ask anyone but William to take on the top job.” Of course Harry couldn’t choose any of his friends over his brother. I mean, c’mon, not only is it fair considering Harry was the best man at William’s wedding to Kate Middleton, who’s now the Duchess of Cambridge, but they’re brothers; you’ve gotta stick to the unwritten sibling code of conduct on this one, Harry. Harry and Markle are confirmed to be marrying over the U.K. bank holiday in late May 2018 at Windsor Castle’s St. George’s Chapel just outside London. This means there will likely be a quieter wedding in store for the youngest English prince and his bride-to-be versus the overflowing pomp and circumstance that came with William’s 2011 wedding. Until their big day arrives, Harry and Markle are living at Nottingham Cottage on the grounds of Kensington Palace, which is where William and the Duchess of Cambridge also live with their children, George and Charlotte.